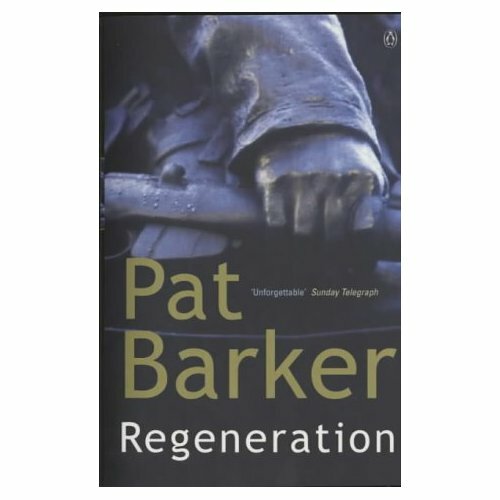 Based on British novelist Pat Barker´s incredible book Regeneration, the first book in her Regeneration trilogy, this movie has an awful lot to offer. Unfortunately like some other brilliant war movies (e.g. When Trumpets Fade) it never got its due appreciation by the public. This is a bit sad since everybody included in this film, especially the actors, did a brilliant job. Jonathan Pryce´s way of playing the eminent Dr. Rivers in such an understated manner impressed me a lot. Set in WWI England and the French trenches Regeneration looks into so much more than just into it´s central theme shell shock. Class and duty, courage and a sense of utter futility coming from the colossal losses of lives are some of many themes. Another interesting aspect is that Regeneration also looks at the birth of a medical discipline namely psychiatry in its struggle to become a well-respected way to cure people. During the times depicted in the movie however its sole purpose was to restore the ill young men and make them fit to be sent back to the trenches. A further central theme is the poetry of young poets such as Siegfrid Sassoon and Wilfred Owen. The people we encounter at the heart of this movie are mostly intellectuals. The story circles around the poet Sassoon (James Wilby) who is considered to be a war hero. He has written a letter of protest against this war that is still going on despite all better understanding. To avoid court-martial he is sent to the asylum to be treated for shell shock. He does have recurring nightmares but apart from that he seems unharmed. As mentioned before we also find a thematization of the topic of class. The officers were mostly from the leading upper class. One patient however made it to a higher rank without the usually required background. One more look from another angle at this complex mess of a war. There are many other patients in the asylum that have been marked more deeply than Sassoon. Some stammer, some lost their speech altogether, others suffer from hallucinations, delusions or other forms of psychotic reactions. One of them, Billy Prior (Johnny Lee Miller), is a very interesting character, so is Wilfred Owen (Stuart Bunce), the young poet. Dr. Rivers (Jonathan Pryce) who is also a leading anthropologist is a very gentle psychiatrist (We learn more about him in the novels. The sequels to Regeneration, The Eye in the Door and The Ghost Road elaborate these aspects. Being an anthropologist myself I would have liked to see sequels of those movies. As an avid reader it is rare I am truly impressed by books but I was when reading this trilogy. Unbelievably good.). He tries to heal by listening to his patients and help them regain their memory of often unspeakable horrors. Empathy and compassion are Rivers´ trademarks. He cares deeply for his patients and it is tragic when he ultimately realises that all he does is cure them to send them off to face a certain death. During the movie we are also shown one other doctor´s techniques at curing mutism originating in shell shock. They are revolting to say the least. What made this movie so remarkable is the way it chose to show the scenes in the trenches. Even tough it is a color movie, the use of color during the trench scenes is attenuated, creating almost black and white sequences. This is convincingly artful. The just middle between the black and white of All Quiet on the Western Front and the corny choice of color in Passchendaele. Regeneration is one of the best war movies on WWI. It excells in showing the absurdity of war, friendship among men, the birth of a discipline, the power of poetry to convey even the most horrible adequately. Yes, it is a rich movie. Would I want to do it justice, this already long post would be at least three times longer. Putting my review in two words: Watch it! Should you be interested in more background information you should read a first hand account of one the people shown in the movie. 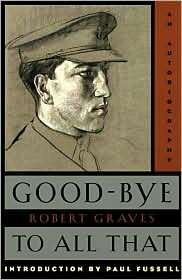 Why not read Robert Graves´ (played by Dougray Scott) autobiography Goodbye to All That? Graves was Sassoon´s closest friend and responsible for his escaping court-martial. Of course Paul Fussell´s book The Great War and Modern Memory does also take a closer look at the above mentioned poets. This is dense however not less recommended reading. 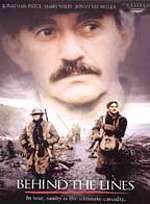 This entry was posted in Actors, Books, Infantry Combat, Movie, Post-traumatic Stress, Reviews, Shell shock, Trenches, War Movie, WWI and tagged Dougray Scott, Infantry Combat, Jonathan Pryce, Movies, Pat Barker, Post-traumatic stress, Regeneration, Regeneration Trilogy, Reviews, Shell shock, Trenches, War Movies, WWI. I agree that this is a great movie and a good companion to WWI infantry combat movies because you see the mental effects of trench warfare. WWI inspired some of the greatest war poetry ever and it is interesting to see how two of those great poets , Sassoon and Owens, had their poetry shaped by their experiences behind the lines as well as in them. The mentoring Sassoon did for Owens was heartwarming. Owens death adds a tragic postscript on what we lose to war. So much talent wasted. I also liked the theme of the anguish (leading to some mental problems of his own) that Rivers went through as he tried to cure these young men so he could send them back to the hell of the trenches. How ironic. Literature would have been better off if Owens had stayed “insane”. overshadowed “Regeneration”. TTRL tried to be lyrical in its humans versus nature theme, but came off as pretentious. Regeneration actually is lyrical as it takes a poetic look at the effects of war. In virtually every respect Regeneration is a better movie. The waste in WWI of talent is heartbreaking and this is shown extremely well in Owen’s death. We have to agree to disagree on the comparion of The Thin Red Line and Regeneration. I would say that year, also including When Trumpets Fade was one of the best years for the genre. I like all four movies, they all achieve something different but I agree that The Thin Red Line is much more artificial and artsy than Regeneration. We feel more touched and moved by Regeneration (I was as well). BUT The Thin Red Line is Infantry Combat, Regeneration is about the effect of Infantry Combat and cannot be compared as such. I did not realize Trumpets came out that same year. That really was a great year even with The Thin Red LIne. It is amazing that TTRL was a huge story and got nominated for Best Picture and yet an unknown British movie (Regeneration) and a made for HBO movie (Trumpets) were superior. As you know, I never pass up an opportunity to criticize The Thin Red Line. Maybe I should have compared Regeneration to Colonel Blimp. America lost a great poet in WWI as well – Joyce Kilmer. Should conscription have exemptions for artists, poets, writers, etc.? Of course, probably Sassoon, Graves, Owens, and Kilmer all volunteered. I don’t think England had the draft.